As you may or may not know, scoring a 700 on the GMAT isn’t easy for most people. However, many people think that it won’t be that hard because they have a friend or a colleague who studied for three weeks and got a 720 on the test. Unfortunately, that friend or colleague is the exception and not the rule. 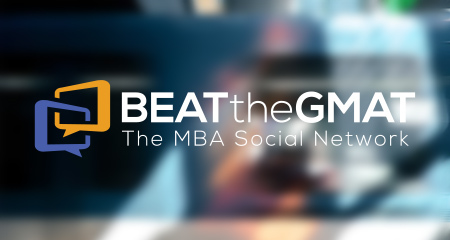 There are over 300,000 people that take the GMAT every year and only 10% of them score a 700 or above (incidentally, only about 10% of students that apply to top MBA and masters programs are accepted. This doesn’t mean though that you have to get a 700+ score though as this GMAT 800 post explains). If it was easy to get a 700 on the GMAT, a lot more people would do it. There are numerous reasons why students don’t manage to get to the 700 level on the GMAT, but the biggest problem that most people have is “time.” In order to get a score increase of 100 points from the initial level most people need to study in the proper way for about 200 to 250 hours. If you start out at a 550 that means that you’ll probably need about 350 hours of studying to reach around the 700 level. Furthermore, if you’re working full time and can only study 20 hours a week that means that you’ll need to study for about 6 months. The black line shows us that as we study more, our score goes up and then back down, and then up and back down again. However, overall, our score does go up (the blue line). The problem is that it’s frustrating to see that you do well one day, and then do badly the next day. This is normal though and the important thing is that you just keep reading and studying. If you’re working full time it will be really hard to focus on the GMAT for 6 months. Furthermore, your studying will be so spread out that you’ll have to spend more time reviewing than you would if you studied over a shorter time period. Therefore, if possible, a better way to study would be to study for 20 hours a week for about 3 months and then to take 3 to 4 weeks of vacation from your job so that you can study intensively. What you should work on at the beginning of your studies depends on your initial weaknesses. However, most people should start off by working on the Sentence Correction part of the test along with their other weak areas. This is because getting really good at the Sentence Correction section allows you to not only get more of these questions correct, but also to go significantly faster. Going faster on this section in turn will allow you to spend more time working on the Critical Reasoning and Reading Comprehension sections. and working on the SC section at the same time. Again, keep in mind that reading ability doesn’t improve linearly, but that if you keep practicing in the proper way, you will eventually get better. So even if you aren’t one of those guys that scored a 700 in three weeks at least you’ll be on your way to getting there eventually. I have just completed my graduation and want to have 2 years exp before MBA. So I dont understand when should I start studying for GMAT. My full time job is starting next month. I am planning for the intake of 2018, 19. I have realised that I need more focus on verbal section. Please give me some suggestions for the preparation.